Trampolines are a great fun for both children and adults and you get to stretch your body too! 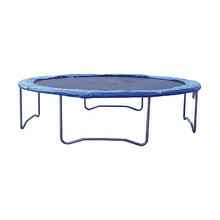 Trampolines can be both small and big, suitable for indoors or outdoors, and some have computers to help you with losing weight. 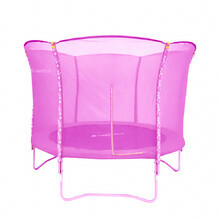 The most sought-after models are the children’s trampoline sets with inner safety nets and steps to prevent falling off the jumping mat. Outdoor trampolines will provide awesome summer fun for you and your guests. Enjoy jumping on modern trampolines with your entire family! 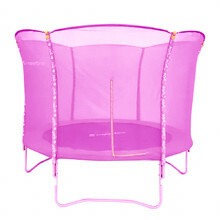 Pick sturdy trampolines with high-quality jumping mats for home or outdoor use (96 – 457 diameter) including trampolines with a computer and handlebar for more effective exercising, smaller children’s trampolines (a gift idea for your children) or trampoline sets – secure trampolines with safety nets for good prices. 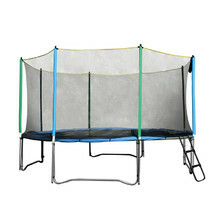 We have also various trampoline accessories – trampoline spring covers and other spare parts. 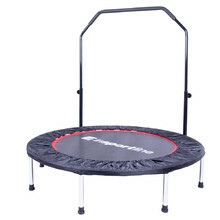 Trampoline suitable for home and commercial use, adjustable handlebar. How to Pick Out Trampoline Accessories? How to Choose a Trampoline? 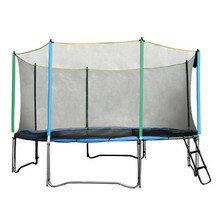 InSPORTline Top Jump 244 cm Trampoline Set with higher jump, safety net + ladder. 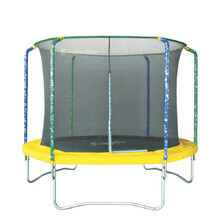 Trampoline suitable for home use, large and firm jumping mat, suitable for children. 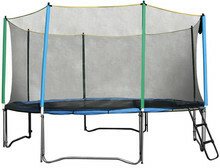 Trampoline inSPORTline 244 cm, weight limit 110 kg. 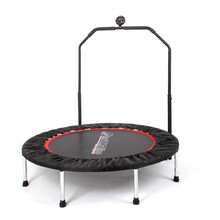 Trampoline inSPORTline with diameter 305 cm, weight limit 140 kg. 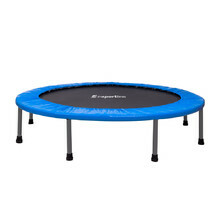 Trampoline inSPORTline with diameter 457 cm. 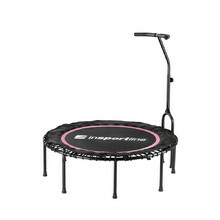 Trampoline with a computer, for both home and commercial use, adjustable handlebar.